The shipbreaking industry is one of the dirtiest and most dangerous on the planet. 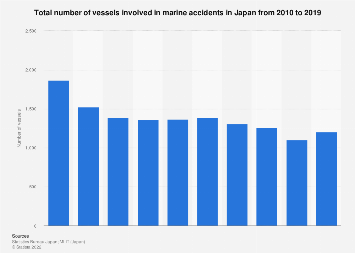 The bulk of ships that go out of service worldwide are scrapped in India and Bangladesh, followed by China, Turkey and Pakistan. According to data by NGO Shipbreaking Platform about 6700 ships have been scrapped worldwide since the organization started counting in 2012. Unfortunately, most of the ships which are broken up to be recycled are not handled in a manner that is safe for workers and the environment. 70 percent of ships are broken up in South Asia, with Pakistan also handling several hundred ships per year. Shipbreaking Platform has witnessed rudimentary conditions in those locations and has denounced the exploitation of migrant labor, loss of life and a multitude of toxins harming workers and the environment. In India, the busiest shipbreaking yard is located in Alang in Gujarat. Bangladeshi operations focus almost exclusively on Chittagong and Pakistani operations on Gadani, which is located close to Karachi. With a majority of the world’s shipbreaking yards being unsafe, all major shipping nations are using subpar ship breaking. The biggest ship recyclers by beneficial owner (who makes the money and the decisions about a ship) are China (which also recycles ships with a mixed record), Greece and Germany. It comes as no surprise (even though it still was a PR disaster for the organization) that a famous former Greenpeace vessel, the Rainbow Warrior, also ended up on a beach in Bangladesh in 2018. The environmental NGO said that the vessel had been transfered to a Bangladeshi NGO and had lost its commission as a seafaring vessel. It therefore was expected to be scrapped in Bangladesh itself, if in the "best way possible". Greenpeace did not comment on whether such a way even existed in a country known for its decrepit shipbreaking yard. 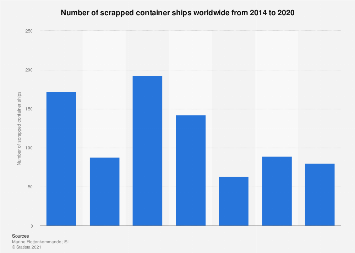 This chart shows the locations in which most ships are scrapped worldwide as well as the countries of the shipowners.